D-Link’s IPS service provides signatures to manage Instant Messaging (IM) and Peer-to-Peer (P2P) applications, so that you control what IM and P2P applications are blocked or allowed in your network. D-Link’s IPS service adopts a unique technology – component-based signatures, which are built to recognize and protect against all varieties of known and unknown attacks, and which address all critical aspects of an attack or potential attack including payload, NOP sled, infection, and exploits. My D-Link provides a registration and management platform for all D-Link customers. 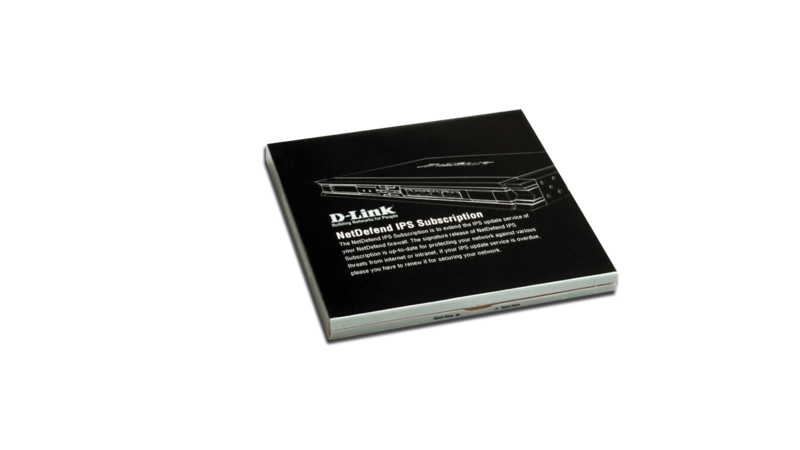 D-Link customers need to register their firewall to receive IPS update service from the NetDefend Center’s My D-Link. The current status of all registered products will be presented, including Model Names, MAC addresses, Serial Numbers, Registration dates, and IPS Service Expiration dates. Customers can easily maintain all firewalls registered under My D-Link. The NetDefend Center includes a ‘NetDefend Live’ service for our customers. NetDefend Live is a platform for providing information about potential security breaches and associated advisories. When D-Link Security Center discovers new exploits and releases new signatures, associated security advisories will be simultaneously updated. This update frequency is provided on a 7x24x365 basis. The main purpose of NetDefend Live is to help our customers know more about new signatures and vulnerabilities. MIS departments can use NetDefend Live as reference to uproot threats and patch vulnerabilities within the enterprise before they are exploited. With NetDefend firewalls as the first line of defense and NetDefend Live as the second, D-Link helps customers to counteract emerging network threats promptly, before they have an impact on business.